Forget the Belt and Road Initiative (BRI), Chinese president Xi Jinping's dream infrastructure project to link China not only with neighbourhood but also such faraway lands as Europe and Africa. Forget the Nuclear Suppliers Group (NSG), an international body where China has steadfastly opposed India's entry. Yes, these have been the biggest red rags in India-China parleys, official as well as the backchannel ones. But none of these issues have engaged the two Asian giants as much as some other issues. Any guesses? Well, the answer is the fourteenth Dalai Lama, the supreme Tibetan spiritual leader whom China has riled for decades as a "separatist". 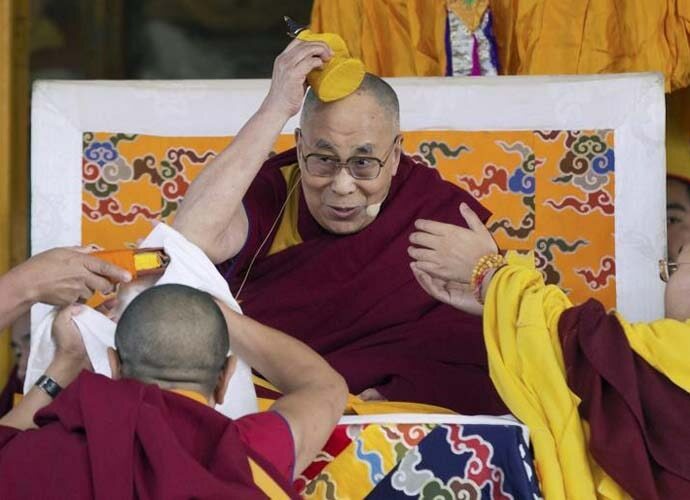 Informatively, China has used many more disparaging words and expletives to describe the 82-year-old Dalai Lama who fled Tibet and crossed over to India 59 years ago. The Dalai Lama has emerged as the biggest talking point in the India-China bilateral affairs through the back channels and informal parleys in 2018. 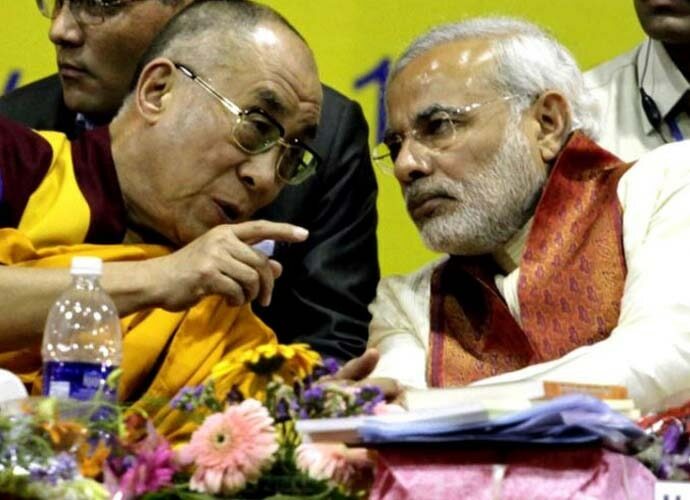 The Dalai Lama was the central issue discussed between Prime Minister Narendra Modi and Chinese President Xi Jinping at their first-ever Wuhan Summit (April 27-28). In fact, it won't be an exaggeration to say that when President Xi travelled to Wuhan to meet PM Modi for his second informal summit ever with any foreign leader outside Beijing — and both times only for PM Modi — his main talking point this time was l'affaire Dalai Lama. But that's what the Wuhan informal summit was by and large about, though, of course, all other contentious bilateral issues were discussed. The reason for such a deep focus of informal talks between Xi and Modi was because of the health concerns about the Dalai Lama. When on February 22, 2018, foreign secretary Vijay Gokhale sent a note to cabinet secretary PK Sinha asking "senior leaders" and "government functionaries" of the Centre and states to stay away from events planned for March-end and early April by the "Tibetan leadership in India" to mark the start of 60 years in exile of the Dalai Lama, the real reason for this unprecedented move was a mystery. But the real cause was intelligence information that the Dalai Lama is suffering from terminal-stage prostate cancer. First only New Delhi got to know of this but later on Beijing too got wind of it. That's how the two sides came to discuss the Dalai Lama-centric issues at Wuhan. More importantly, disturbing news had started pouring from Doklam, the site of a 73-day-long standoff between Indian and Chinese militaries. On March 5, 2018, defence minister Nirmala Sitharaman informed the Lok Sabha that the People's Liberation Army (PLA) of China has undertaken "construction of some infrastructure, including sentry posts, trenches and helipads" near the face-off site between Indian and Chinese troops at Doklam in the Sikkim-Bhutan-Tibet tri-junction area. Sitharaman's reply to a question in the Lok Sabha had come after media reports that the PLA had constructed military infrastructure and helipads and deployed around 1,600 troops in north Doklam throughout the winter for the first time. From Modi government's perspective, time was running out to send a conciliatory message to China and prevent a Doklam II which would have been politically disastrous for it, months ahead of the general elections. It was time for some out of the box thinking. It was time for the Modi government to extend a CBM (Confidence Building Measure) which would appeal the most to China. This was the time when the Modi government turned its attention to intelligence reports about the Dalai Lama's health. All these inputs were enough to lead the Modi government on to an unusual diplomatic expedition vis-à-vis China and try to please the Chinese by disassociating government functionaries from the Dalai Lama's programmes, at least for some time. However, there is a downside for the Modi government in this episode. As the Chinese government is fully updated about the Dalai Lama's health, it obviously means that they can see through the tactics of the Modi government! It's here that the wheels-within-wheels kind of diplomacy kicks in. Apparently, China wants the Dalai Lama to travel to Tibet. But will India allow it, knowing full well that it may be a one-way ticket for the Dalai Lama? Can India take such a decision vis-à-vis the supreme Tibetan spiritual leader who has been India's guest for last 59 years and is a major pivotal figure and a rallying point against China for the US-led Western world? There are no answers to these questions as of now. But the drift I get is that India won't be obliging China in this regard. Not now, not ever. Also read: Should you buy the Samsung Galaxy A6+? The writer is an independent journalist and a strategic analyst.